John Charles Ayers, 60, moved on to his tree stand in Heaven on Friday, November 2, 2018, surrounded by his loving family. He was born on January 17, 1958 in Marietta Ohio to Charles Melvin and Laura Eleanor Weckbacher Ayers. John graduated from Skyvue High School in 1976 and received his Associates Degree in welding from Washington State Community College. He retired from Plumbers and Pipefitters Union Local #168. 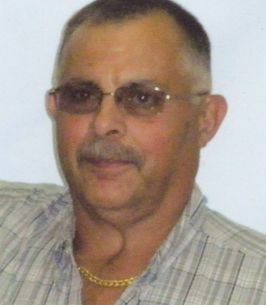 John was a member of the Dungannon United Methodist Church, the GWRRA, life member of Whitetail Unlimited, and loved riding his motorcycle and hunting. He is survived by his mother of Sycamore Valley, Ohio; wife, Delores "Dee" Skinner Ayers, whom he married on March 9, 1991; son, Justine Ayers (Joan) of Marietta; sister, Donna Winland (Jeffrey) of Sycamore Valley; brother, Tracey Ayers (Denise) of Fleming, Ohio; and many nieces and nephews. He was preceded in death by his father and sister, Vickie Conger. Funeral services will be held at 11:00 a.m. on Wednesday, November 7, 2018 at the Lowell Chapel of Cawley & Peoples Funeral Home, with Pastor Jim Porter officiating. Burial will follow in Highland Ridge Cemetery. Visitation will be on Tuesday from 2 to 4 and 6 to 8 p.m. at the funeral home. Donations may be made Sonnywood Animal Rescue and Sanctuary or your local humane society. To send flowers to the family of John Charles Ayers, please visit our Heartfelt Sympathies Store. Dee and family, So sorry to hear of John's passing! We graduated high school together, with lots of good memories, John was one of the good guys. Will always remember. RIP John! So sad to hear of John's passing. Sweet man. Always so nice to me, especially when we were in school. Heaven is a better place. Dee, we are so sorry to hear of your loss. John was a great person. He was in most of my classes at Skyvue and was one of the nicest classmates there We will continue to keep you and your entire family in our prayers. God bless. My thoughts and prayers are with John’s family.